Big news summer travelers: Toy Story Land, one of the most anticipated family attractions in 2018, has an official opening date. It was announced live on “Good Morning America” that June 30 is the big day. To celebrate the announcement, Disney brought a piece of the new land right to New York City’s Times Square. 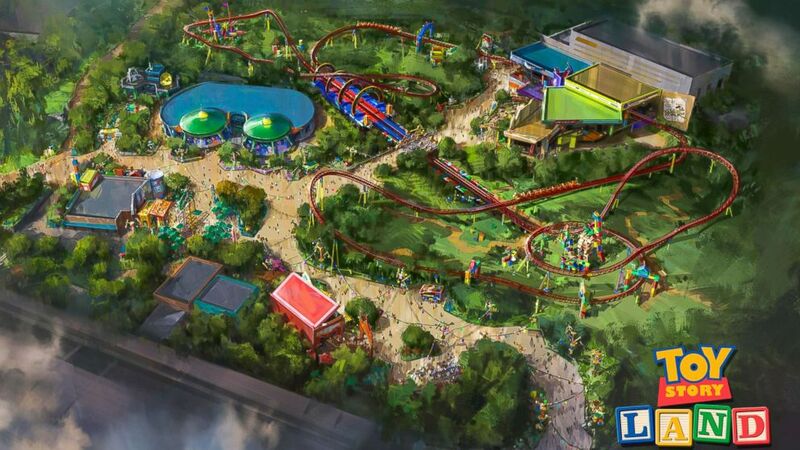 Slinky Dog Dash is one of many attractions in the new 11-acre Toy Story Land where guests will shrink to the size of a toy and be surrounded by giant versions of childhood toys. While the original “Toy Story” movie was released in 1995, Toy Story Midway Mania opened at Disney’s Hollywood Studios and Disney’s California Adventure in 2008. Now, 10 years later, the all-new addition to Disney’s Hollywood Studios is set against the backdrop of Andy’s backyard. One of the main attractions include Slinky Dog Dash, a ride for the whole family where Slinky Dog twists his coils around curves, hills and drops across Toy Story Land. Alien Swirling Saucers is another fun attraction for guests where they will board a toy rocket for a spin through space. When it comes time for a bite to eat head to Woody’s Lunch Box, a walk-up window serving old-fashioned soda floats along with other tasty eats and treats. To Disney World… and infinity… and beyond!